Jacob and I were in upstate New York for a wedding a couple weekends ago. A dear friend from grad school got married to a longtime sweetheart, and I was so happy we were able to celebrate with them. This meant - excepting little baby in utero who makes his/her presence known in a consistent variety of ways - we were childless for three whole days and hardly knew what to do with ourselves. The wedding was in Ithaca. We went out for breakfast Saturday morning and then to the Ithaca Farmers Market. The market was so luscious - unfortunately Houston farming right now is kinda...limp. Everything's too hot and always looks tired. The people, the produce, the trees. Not so in Ithaca. I saw dahlia's as big as my head and the happiest bunches of greens, and there was no reason for me to buy any of it...which was good because I wanted to buy EVERYTHING. I could've spent hours watching all the people in their chaco's and muted lavenders and olive greens and dreadlocks, juicing wheatgrass and nursing babies in the backs of Subaru Foresters. My kind of cliche. I really just need to move to Portland. We spent one night in New York City and like the touristing bosses we are, we didn't venture outside of a two mile radius of our hotel. But we did have the best gelato I've ever tasted stateside. We went to a different place for cocktails and another place for dinner. We have priorities and they're all food related. I was SO uncomfortable on the flights, but every time I thought about how kid-free we were, I couldn't muster a single complaint. No car seats or baggage carts. No naptimes to fuss with. So much less forethought. I was the only one who whined. Ah, but I missed them. I missed them a lot. It took a whole week of being back before the messes of mothering began to faze me again. The kids did great at home with their grandmother and uncle. They missed us some I'm sure between the hours of water play and trips to the beach. 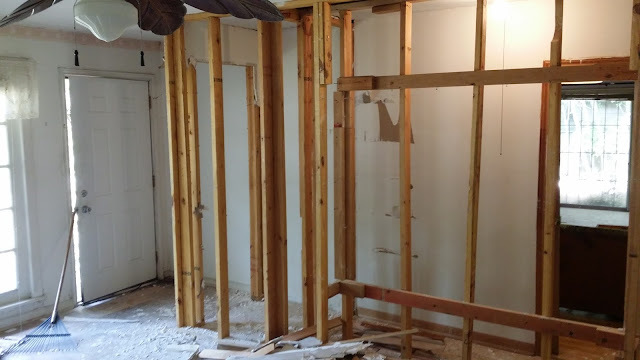 The remodel is in full swing, and we're still planning on moving in early September. Can! We! Do it?!?! 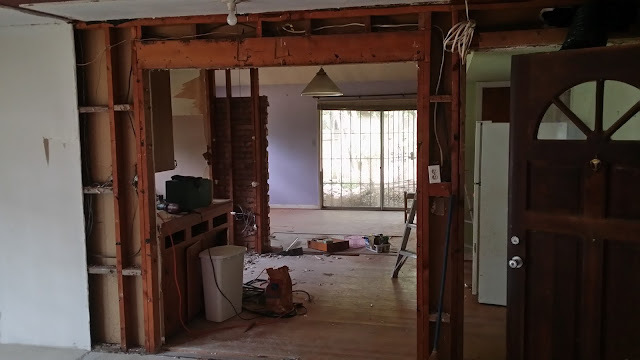 So far we've begun to repair some old termite damage behind the drywall and ripped out the old kitchen. We had the A/C reducted so the air is blowing into the house instead of into the attic. Jacob piped gas to the kitchen, and he and his brother tore out the molding parquet floor in the living room. 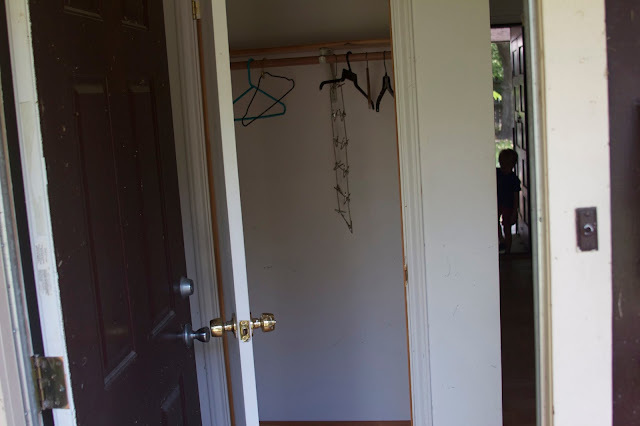 Originally when you opened the front door you walked straight into a coat closet. So we knocked out that closet to open up the living room. Now when you open the front door you see clear to the backdoor. The world tells me this is bad feng shui, but I tell the world that we're eventually going to move the backdoor. We knocked out a built-in in the living room to open up a wider pathway between the living room and the kitchen. The likelihood of our moving on time depends a lot on this weekend. My dad comes into town, and he and Jacob will tackle whatever rewiring needs to happen. We'll also try to get a sense of why the water pressure in the bathroom is terrible. If those projects are pretty straightforward, we'll be set. Over the next couple weeks, we have floor guys and drywallers coming and Jacob will be able to focus on the kitchen installation. We'll do some kind of light greyish/sageish/green for the lower cabinetry with gold hardware. 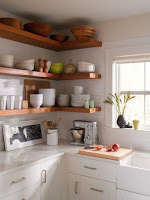 We have very little upper cabinetry in the design, so we'll run with the nice cheap open shelving trend. I'm thinking octagonal carrara marble for the backsplash. The countertops will be white. 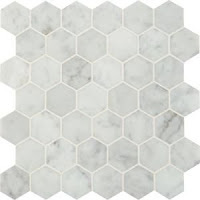 There's a marbly quartz that I really like, but Lowes will have to give us one heck of a deal on it because it is $$$. Our trip to New York marked the end of our summer traveling. We have traveled almost every other weekend since April, and for the foreseeable future we are staying put. The next five weeks of our lives are pretty defined. Jacob will be remodeling. The kids will be eating cereal. And I will be on the couch trying to convince myself to write or maybe tackle some prenatal DoYogaWithMe videos if I can love myself enough. And then we will move and have a baby. Hopefully in that order and not simultaneously. Holy Smokes! Did Jacob do all that gutting? Haha--that is just amazing. 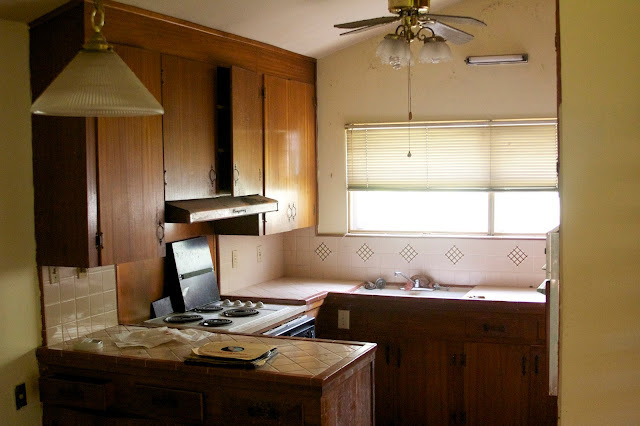 Also--second picture of kitchen is way better :) whatever you do, I'm sure that it will be beautiful! What a great vacation!! And love your kitchen remodel posts! 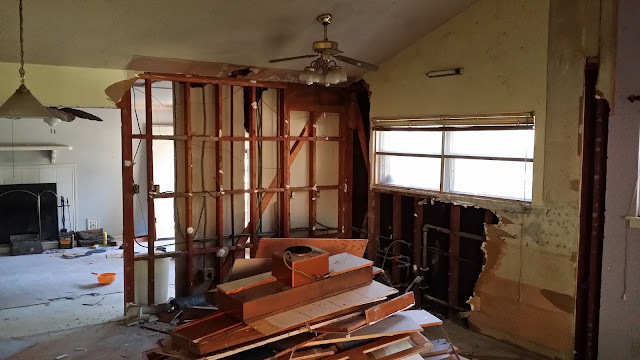 So jealous that you get to remodel again! I loved picking things out. But we are actually not done soo I guess that's good! That farmer's market looks AMAZING - cider tasting??? Sign me up! Also, can you guys just mosey on up to Virginia and help us out with our new place? 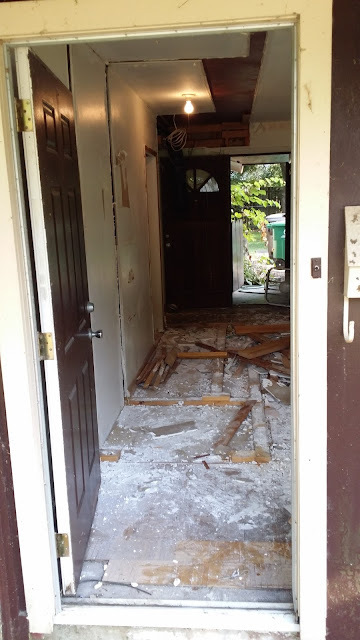 There's been some pretty extensive remodeling but there's still a loooot left to do and we're clueless! 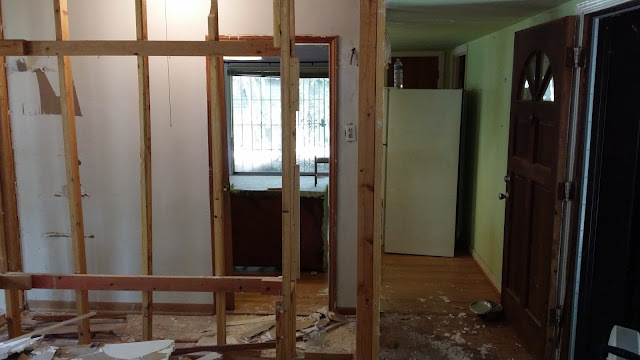 You're not busy with your own remodels/gestating a baby or anything, right? I'm from upstate NY and so jealous that you got to go there AND to the city!! Love the remodel posts, keep them coming! I don't care what kind of feng shui it is -- I LOVE that front-door to back-door viewing. In my "let's sketch out dozens of iterations of my dream home" days, I almost always had that kind of a set-up. I like the idea of a breeze going from one door to the other and (older) kids running in and out of the house freely. But that's just me! Enjoy it while you have it! 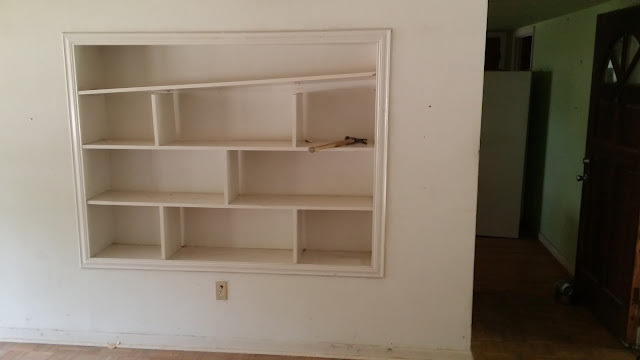 WHOA - remodeling and gestating a child at the same time! You are amazing. This comment might be too late, but have you priced countertops at a custom countertop shop? When we finished our basement we were shocked to discover it was much, much cheaper than Lowes. It's not too late. 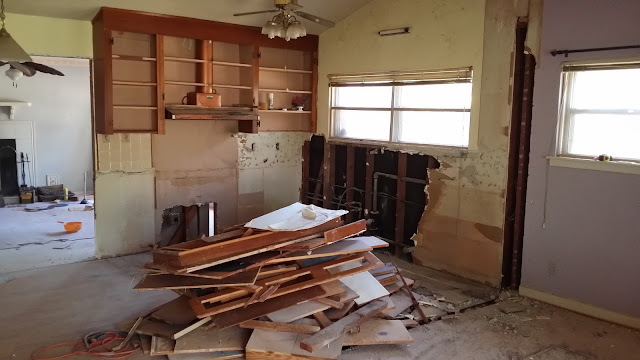 I'm sure we'll be prepping meals on plywood for a good while before the countertops go in. We priced our last remodel at one custom shop and it was significantly more than Lowes, so we never tried any others. (We also got Lowe's and Home Depot into a bidding war and so that helped cheapen things up!) But thank you for the tip! I'll probably start calling custom shops and see what we can find!!! Crazy! Maybe they're just more competitive here? Hope you find what you want for a great price.